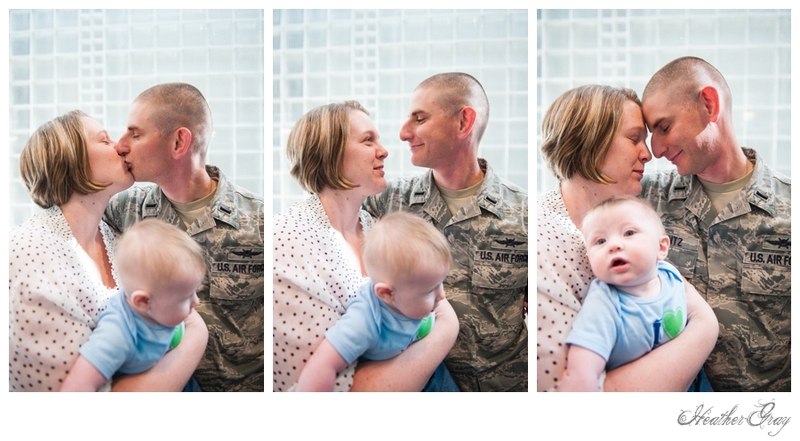 I met this family through Welcome Them Home, an organization that connects photographers to military families for portraits of soliders homecomings. 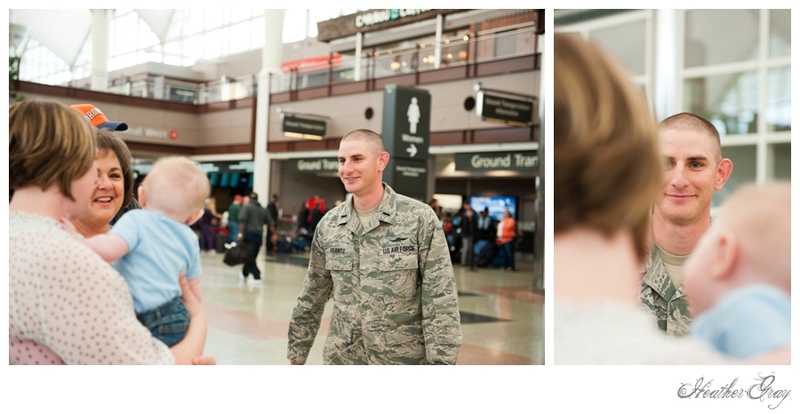 We donate our time to military families to thank them for service to this country. 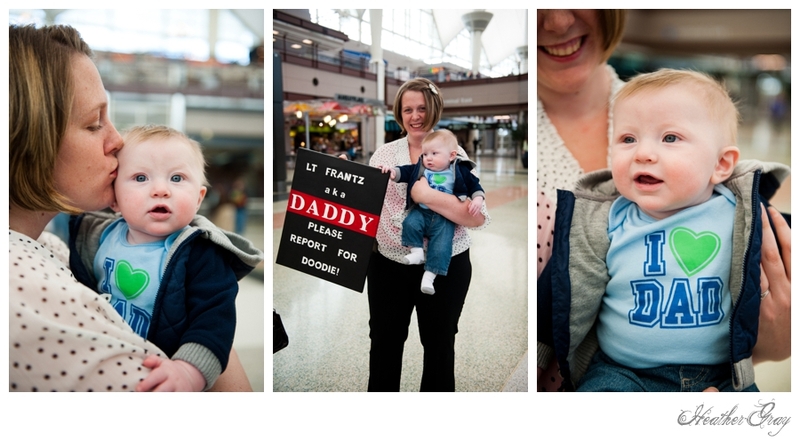 It was an honor to photograph Lt. Frantz's return home. 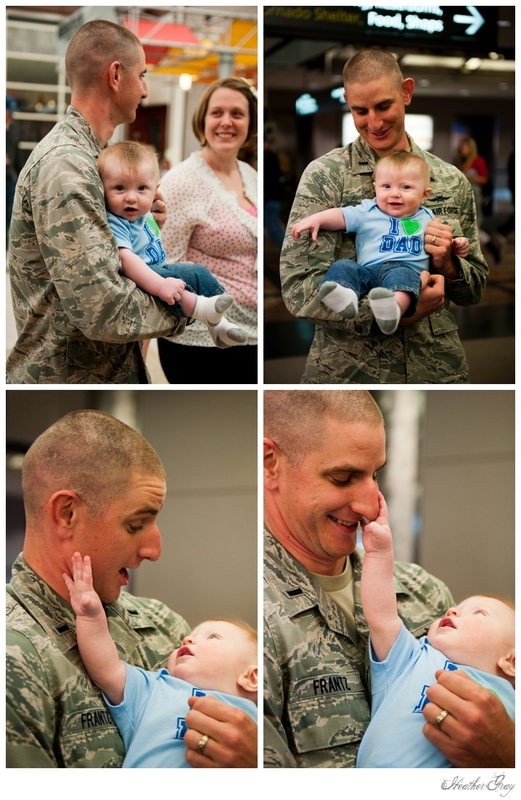 The last time he saw his wife and son was the day his baby was born. 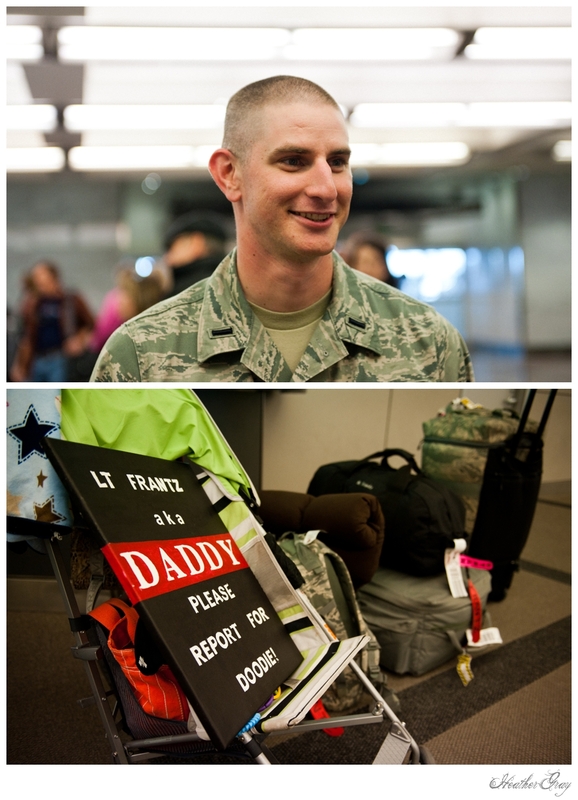 Five months later, he was returning home. 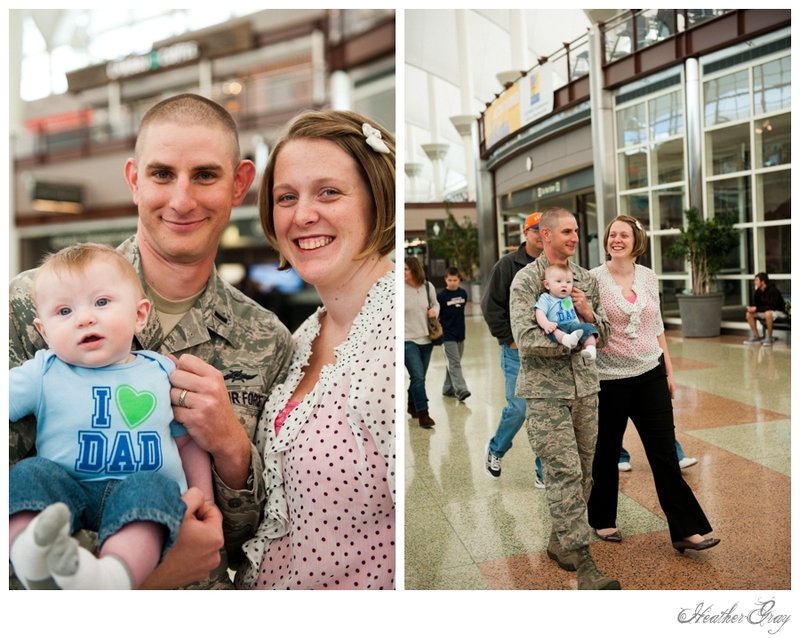 I met Alyssa and her family at the Denver Airport. 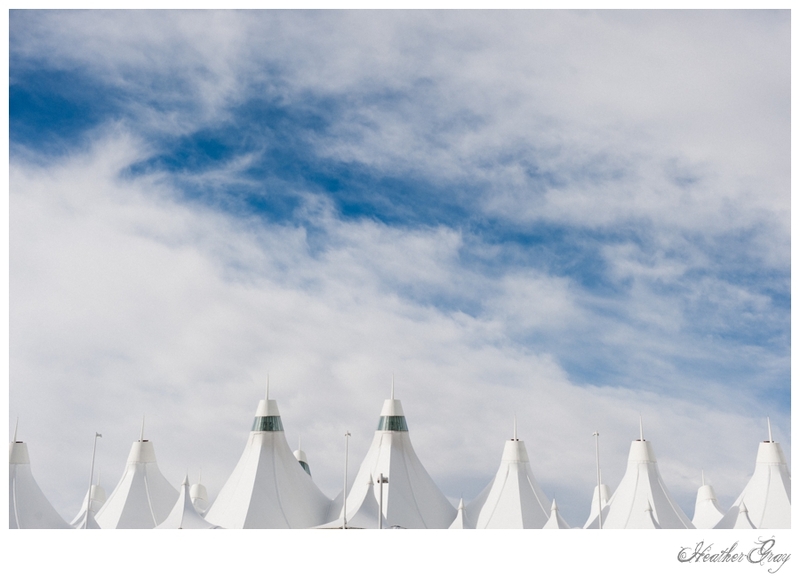 We watched the flight updates since there were a few storms heading into the area Lt. Frantz was flying from. The flight was delayed and we anxiously waited for updates. 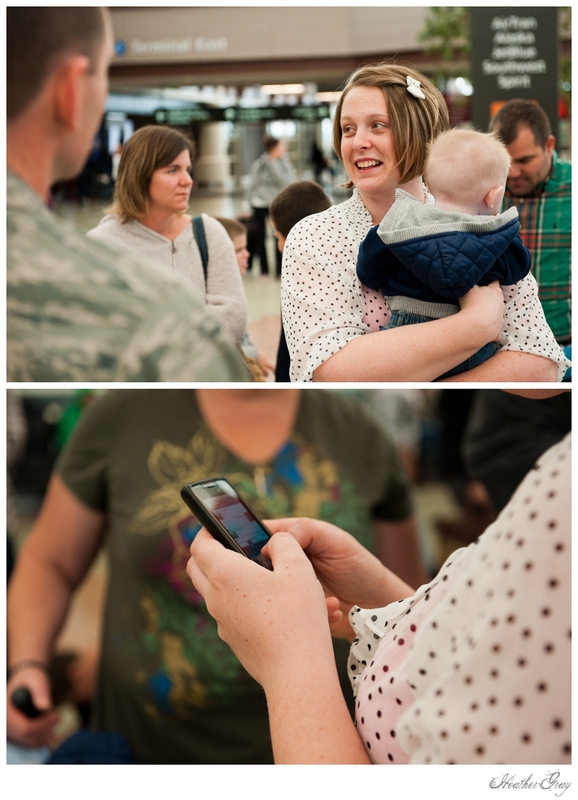 Alyssa was non-stop looking at her phone for her husband to text her when he landed. 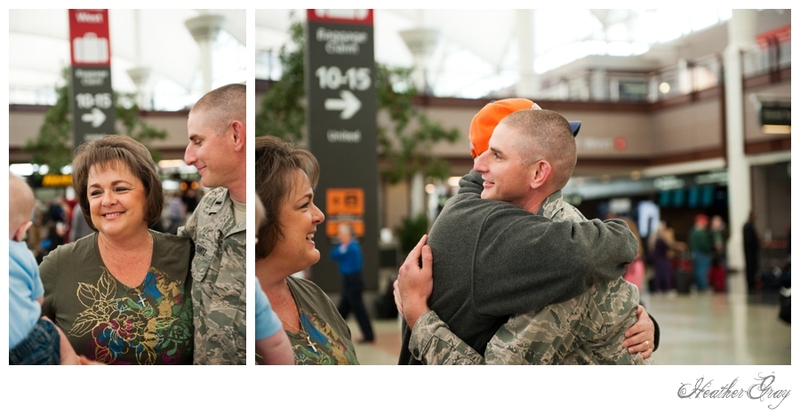 While we waited, their friends and family visited with each other and shared stories. 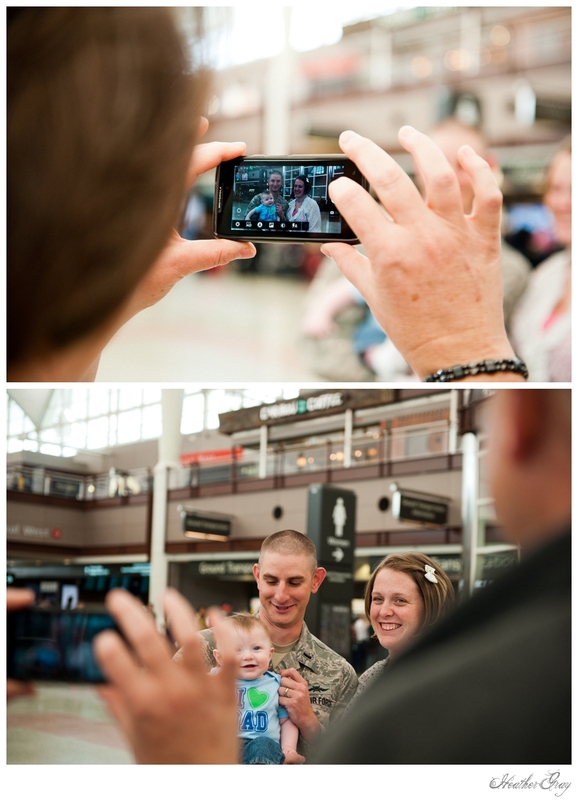 I met a few of Lt. Frantz's colleagues and their families. It was beautiful to see how much these people cared about this man and that they all wanted to be here to thank Lt. Frantz and his family for their service to our country. 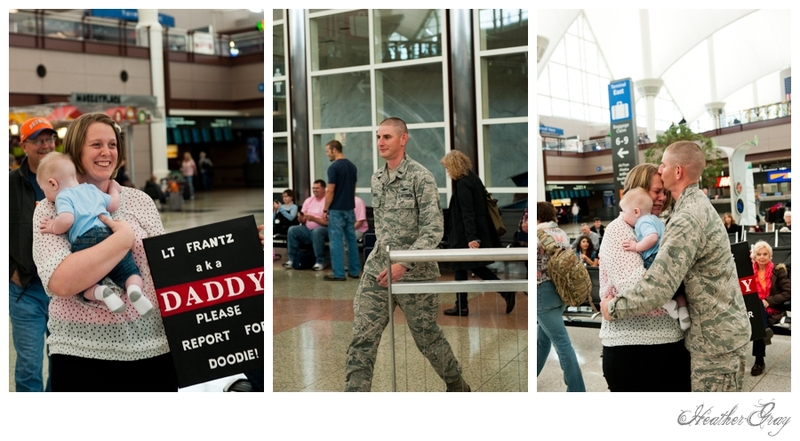 We all stared at the walkway waiting and as we saw Lt. Frantz walk up the stairs we all smiled. 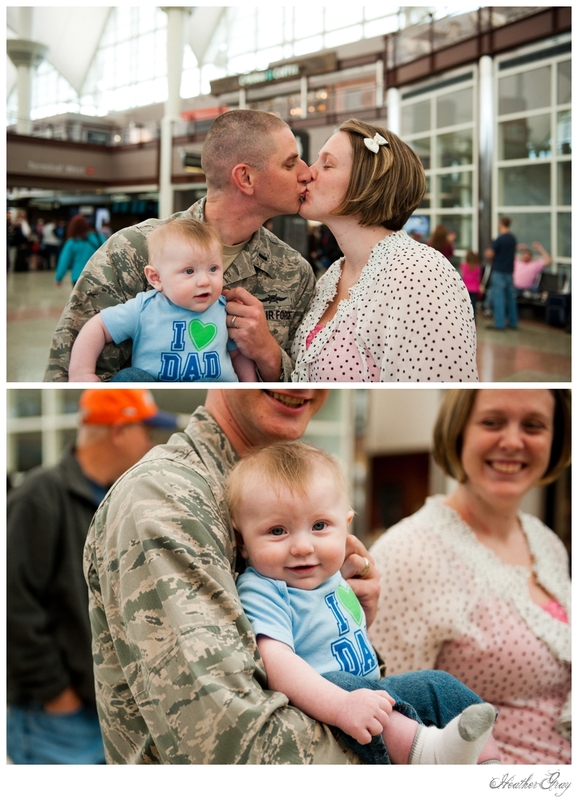 Everyone was crying and the people around us at the airport cheered and clapped for this beautiful family. I cried with every photo I took. 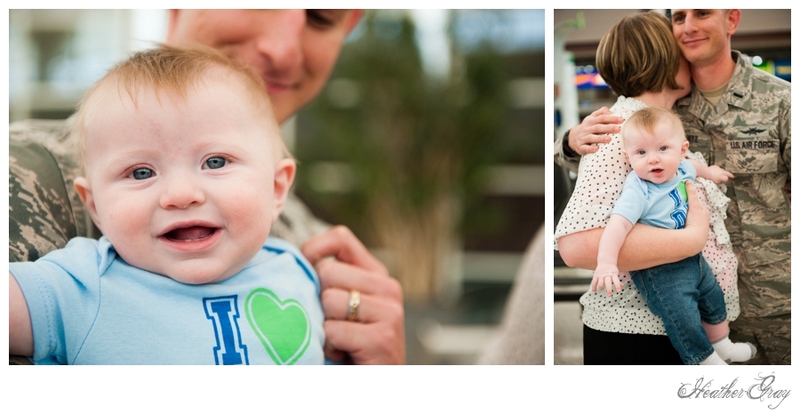 I cannot begin to imagine what this moment felt like for this family. 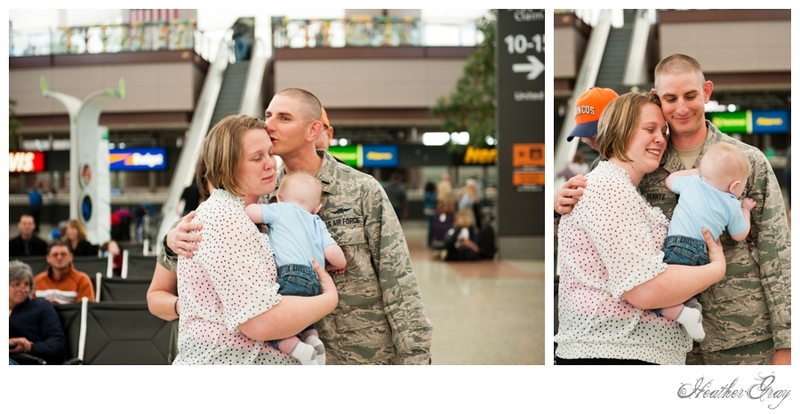 I can't begin to grasp this selfless act of serving ones country and the sacrifices military families make for all of us. 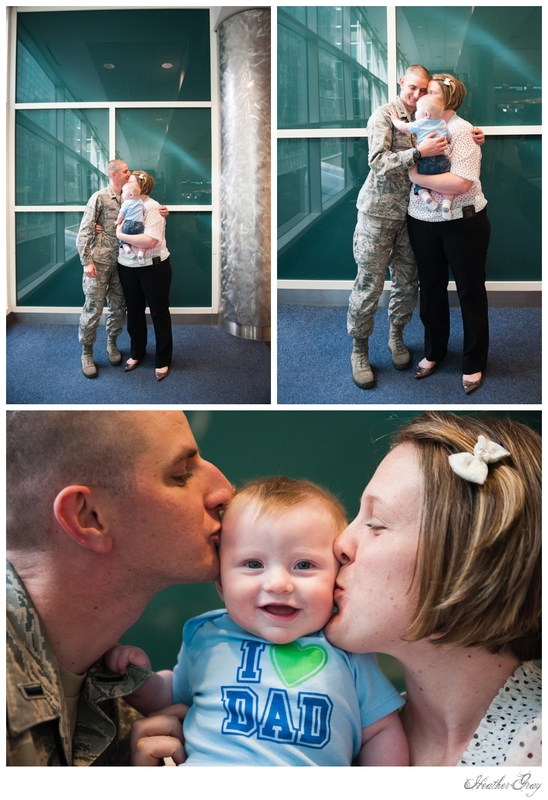 Men and women dedicate their lives to this country everyday, leaving behind their wives, husbands and children, and this is why I'm a Welcome Them Home photographer. I can't think of a better way to contribute to these amazing families.